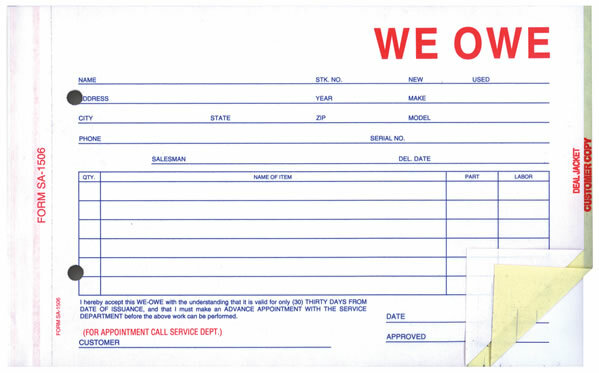 We Owe Forms - 3-parts and 4-parts: used by auto dealerships: Avoid costly misunderstandings and confusion with this “WE OWE” written record of all promises. 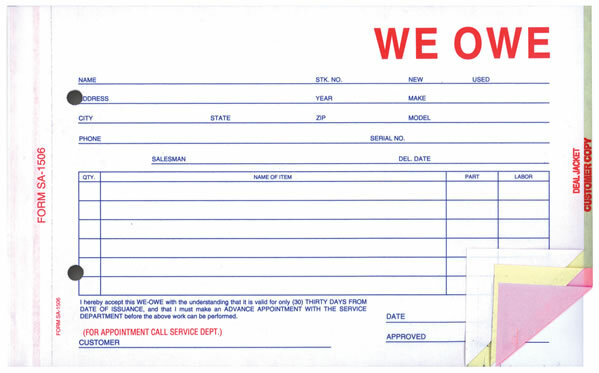 The We Owe form eliminates verbal promises by writing down commitments. 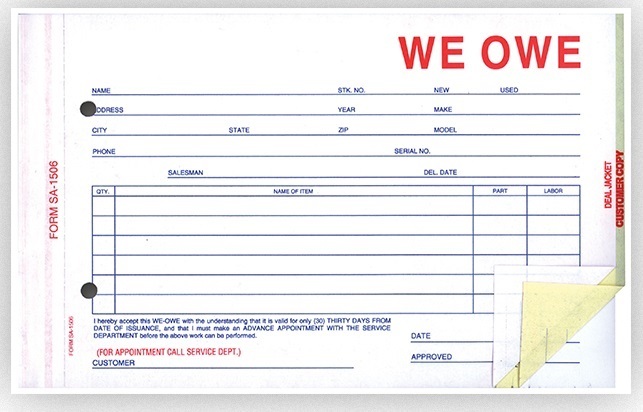 Using We Owes, vehicle deliveries can be arranged so customers have confidence all additional equipment or services promised will be done at their convenience. Part 3 goes to the service department so they can know in advance the service required or requisition of the needed equipment or parts. File holes for convenient posting. 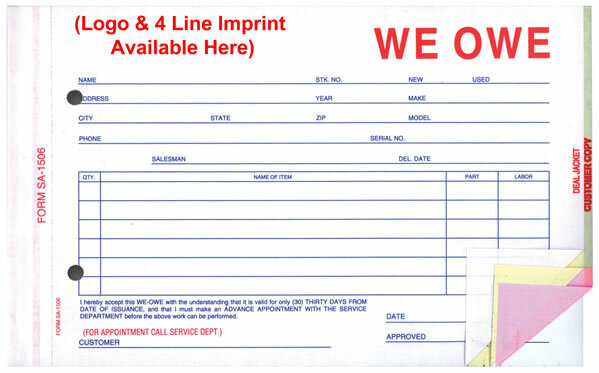 When choosing the imprint option, please allow an extra 7 to 10 working days for production. We will email you a PDF proof for your approval before production begins. Please feel free to call us at any time with questions. COMPARE PRICING: Great American Automotive Products charges 70+% MORE for their compatible We Owe form (100 @ $28.00 - BFA1506-3). Have nothing but great words - Will use again! Price was right, received my order in 3 days, couldn't be happier. Will definately use again!